This lovely little mug is beautiful in its own right—tiny gold stars shimmer against a deep black background—but once it's filled with steaming liquid, the magic really happens. 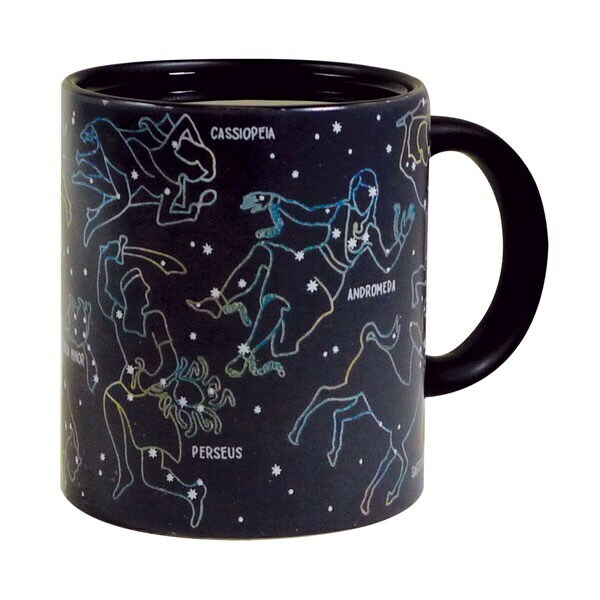 Simply add 12 ounces of your favorite hot beverage, and watch as constellations (and their names) appear among the stars! What a wonderful gift for the star-gazing enthusiast or amateur astronomer in your life. Microwave safe. Hand wash only.